How is it that an artist can sell over fifty million records and yet creatively, have nothing to lose? 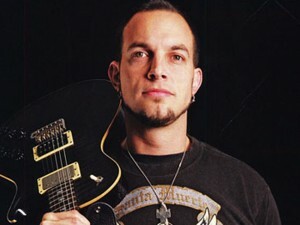 Guitarist and songwriter Mark Tremonti has achieved incontrovertible commercial success with his bands Creed and Alter Bridge, although for reasons far too complex and speculative for this piece, the former band remain perennially tied to the whipping post of the music industry despite towering album sales and multitudinous awards. 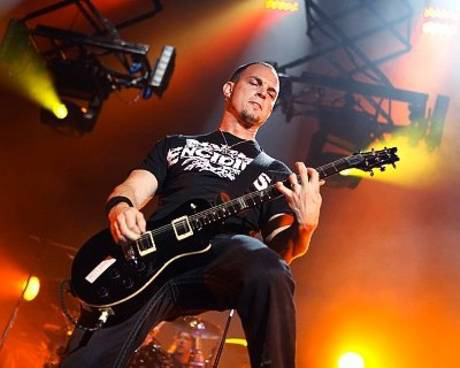 Alter Bridge, formed in the wake of Creed’s success, have enjoyed a much warmer welcome from fans and critics, but their commercial performance is nowhere near that of Creed. With his new self-titled solo project, Mark carries on his back both the suffocating expectations of current fans and the unwavering prejudice of Creed’s detractors. Capitulating to neither, Mark’s blistering solo debut is already one of the most buzzed-about albums of the summer. Sometimes having nothing to lose is right where you want to be. Despite his considerable talents and immense likeability, Mark is essentially damned if he does and damned if he doesn’t. 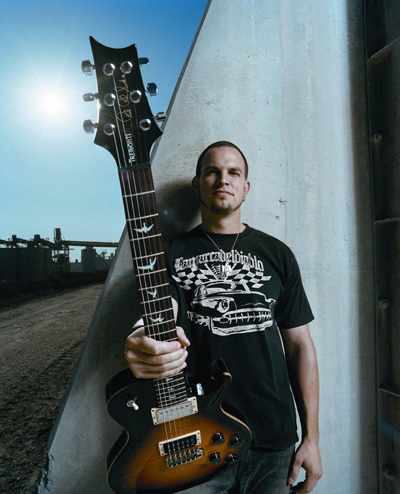 When he announced work on his solo album, All I Was, speculation understandably focused on whether the sound would be closer to Creed or Alter Bridge; the underlying assumption being that Mark’s album would occupy a point somewhere between those two acts. Few anticipated that the guitarist’s solo debut would evoke neither of his two day jobs. In fact, All I Was is a thrash metal free-for-all, full of blistering solos and propulsive riffage more reminiscent of Testament’s The Gathering or even early Machine Head. Beyond the album’s manifest power, every track centers around strong melodic textures that add depth to a straight-ahead speed metal attack and it is from these passages that any comparisons to his other work might stem. Advance reviews have been overwhelmingly positive, particularly from the notoriously skeptical UK metal press, many of whom are already hailing the album as one of the year’s more notable releases. We wondered the same thing, so we sat down with Mark to ask precisely that, and to discuss the challenges of going solo, the themes of the new album and whether or not the Creed bashing ever bothers him. So what took you so long? You know, I never really thought I had the voice to do it growing up. I was always a songwriter and I would write all my melodies and whatnot in my falsetto voice and then gave them to my band to complete the songs. I felt like my ideas had potential, but that if I sang them, they wouldn’t reach that potential. But after doing it for years and years, I think your voice just kind of naturally develops and I felt like it was finally the right time. You’ve gone platinum many many times, you’ve scored a Grammy and you’ve done all the things that kids aspire to do when they first pick up a guitar. What were you missing from your other projects that you hoped to experience? I grew up a metalhead and when you start bands, you work with the people that you know in town and not everybody has the same roots. The band that you form becomes a mixture of everybody’s influences and I wanted to really pull out all my roots on this record and go in that direction where it’s a combination of strong vocal melody and heavy, speed metal-rooted music. When you talk about your roots, are there specific influences that you were really tapping into at the time you put these songs together? It’s all of the stuff that I grew up on, ever since I was a kid. That’s the stuff that’s really in my wheelhouse. The right hand, down-strokey kind of speed metal rhythms and thrash kind of stuff. That’s what I dug as a kid and I always wrote riffs like that, it’s just that a lot of them were too metal for my other bands, so this is a perfect time to get them out there. Understanding that you wanted something melodic and heavy, did you have an idea of how these songs were going to sound, or did they come together when you brought in the other musicians? Well I write parts when I write music, and when it came down to writing this record, I’d just break out my laptop and run through ideas and get feedback from the other guys and see which ideas they liked more than others. We would always kind of steer towards the heavier stuff and we’d start playing that right off the bat, so we knew how it was going to sound and we’d all get really excited when we’d get into a riff that we all really dug and we’d try our best to carve a song out of it. I know you had some experience with the other musicians, but what was your criteria for putting together a band for your first solo project? They just had to be guys who could do anything I threw at them and these guys could. I knew I’d be doing a lot of heavier stuff, that required a more metal approach on the drums. A lot of metal drummers don’t seem to have as good of a pocket as Scott Phillips (Creed) does, so I wanted to find somebody that had the metal chops, but who also had a good pocket. That’s why Garrett (Whitlock) was the perfect drummer for this, and I’ve known Eric (Friedman, rhythm guitarist) for fifteen years and he’s a very versatile guitar player. 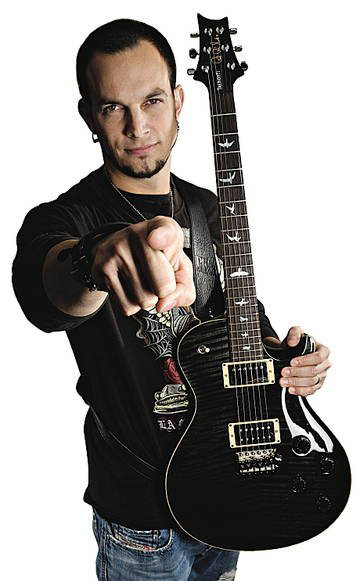 He started out as a blues guy, which gave him all the feel and phrasing that you could ever want, and then he morphed into a metal player as well, playing with a band called Daughters of Mara, which is a great band. Now he’s doing a great job in this as well. Because the vocals are so clear, the lyrics have a greater prominence than on other metal releases. What was the lyric writing experience like for you? That was one of the things I was worried about the most. I’ve always written lyrics on parts of albums, but most of the time I put some lyrics together with a melody and then Scott (Stapp, Creed vocalist) or Myles (Kennedy, Alter Bridge vocalist) would finish them off, so they could sing with conviction because it’s their message. I’ve always thought it’s better for a singer to sing their lyrics, so this was the first time that from start-to-finish I had to tackle all of them. It was definitely a big undertaking and I wanted to make sure it was right, so I rewrote and rewrote until it was. What were the themes that you ended up exploring? One of the major themes is betrayal of folks that you thought were once loyal and had your back, and to then see the evils that money and power can do to folks. Just kind of growing up and becoming a little bitter, so it’s getting it off my chest. So these lyrics are inspired by actual things you experienced within the music industry? Absolutely. This industry breeds corruption and people looking out for number one, regardless of whether it meant stepping on the little guy, and I’ve been stepped on quite a few times. I think that by now I’ve learned just about every lesson there is to learn. Out of all those lessons, what would you say is the most important one you’ve learned? To keep an eye on your business and not be so trusting. Just because people represent you it doesn’t necessarily mean that they’re always going to have your best interests in mind. Money becomes a tricky thing when you grow up and it starts really happening for you. If you don’t have good people that you can trust around you, then it’s going to be a tough road. Were there any big surprises throughout the recording of this project that really took you off-guard? No, we knew it was going to be a really big undertaking and we kept it all in the family. Like I said before, it’s about surrounding yourself with people that you trust. The people we started this record label with, Fret 12, is my brother and my uncle so it’s great to have them so I can feel comfortable with the people that I’m working with. What would you say was the biggest challenge of doing a solo project, as opposed to recording with a band. Well, it’s a lot more work involved. Having to write all the lyrics, organizing all the solos and composing all the stuff… Really the only thing more difficult though was finishing the lyrics. Everything else was fun and it went pretty easy. Is it safe to say there will be another one of these solo albums? Absolutely. We had a blast. Switching gears a bit, you’ve been working with Creed this year. What’s happening with that? Well we’ve been doing Creed tours all year long, and we’ve kind of been jumping between Alter Bridge and Creed tours for the last couple of years. Myles will go out with Slash and we’ll go out with Creed. We’re starting out on the 26th of this month and it goes all the way through September 8 and then following that we’ll be setting out on some dates for the solo record. Are there any plans to do some studio work with Creed? We’ve already started writing songs for another album. We’re about four solid songs deep and we’ve got a bunch of others that need to be worked on, but we’re not setting any timelines and we don’t want to rush ourselves. We just want to make sure the music’s right and we’ll just have to wait until we have time to record it. You’ve talked about a sense of bitterness as a theme on the solo record. It’s almost become a cliché for people to take pot shots at Creed. Does that ever get to you or have you moved past it? It’s been such a long time since that stuff first happened and it’s gone away quite a bit. When people come out to see the new tour, they’re really digging it. Even people who don’t necessarily like the band who come out to review the show come back and say that we’re performing the best we have in years, so we’re doing our best to make it right for us and for our fans. I’m pretty much numb to some of the negativity. Some of it still hurts, but for the most part you know if someone’s just being hateful, not because of the music but because of their personality. What are your plans for supporting the solo record? We’ve done a couple shows already and then we’ve got huge amounts of airtime all over the place on Comcast to get people to check out the record. Then we’re going to be touring in September, October and maybe a bit of November. 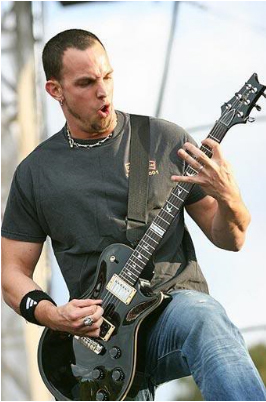 Hopefully back out again in February, after Myles and I put together a big chunk of the next Alter Bridge record, and then wherever there are breaks, we’ll try and support it. & not let the new music world drive you nuts. I can defend any band that’s sold 10 million records. Obviously they’re doing something right.